Belgium is not a large country but is packed with a lot to see and do. You may explore the fine art museums of Brussels, the castles of southern Belgium, check out the diamonds in Antwerp, or the canals of Bruge. Alternatively, you may be on a business trip, in which case, you will pleased to find a good choice of departure airports, including London City, heading for Brussels. 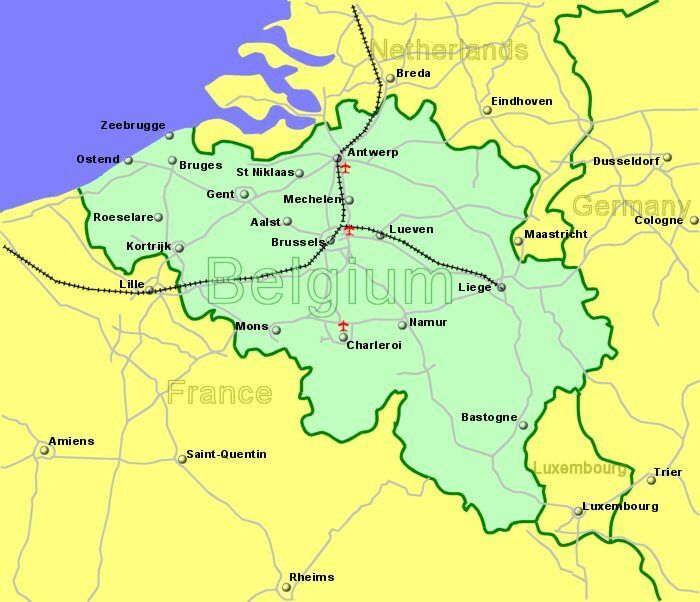 The north of Belgium (Flanders) is mostly Dutch speaking, while the Wallonia region in the south is mostly Fench speaking, with some German being spoken to the east. Brussels is officialy bilingual though mostly French speaking, inspite of being surrounded by a Dutch speaking area. Belgium is a member of the European Union and the currency is the Euro. 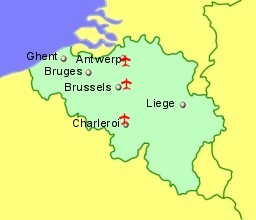 Belgium is also a Schengen country.